As you know, the Google Reader is set to the middle of the year, without any alternative by Google itself. Gogo wrote an articel a few weeks ago, and linked to “lifehacker.com”, you can read the articel here at her blog. I was busy the last few weeks with testing various alternatives and doing my thumbs up for http://www.feedly.com/ Feedly is very clear, helpful, well-structured and easily to use. 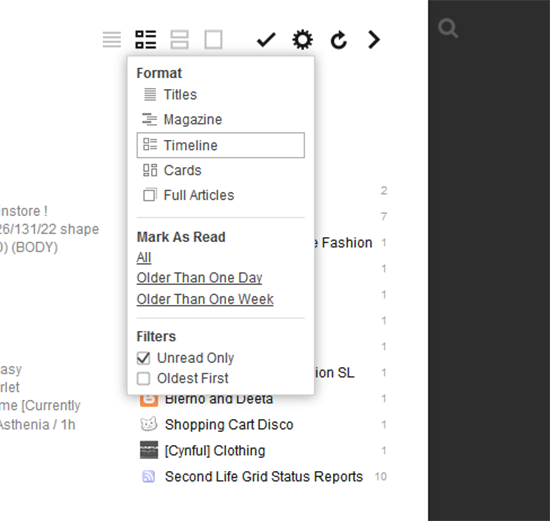 There are various display options, full text with image, title only, magazine look, Card View. Feedly displays only unread articles, if desired, this is something I missed in the last month with the Google Reader, it showed ALL articles, even if you marked only one with “unread” to make it easy to find later. I do not know if this is just a problem to me, but it was incredibly annoying. Anyway, Feedly is a really great alternative for those who have used the Google Reader and have many blogs that they want to track. Before I requested commissions, I was slowly plodding along with work on a new piece of jewelry. Mesh is fantastic for jewelry, as it is for just about anything wearable. However, the stones I've used in the past for my other jewelry seem a little outdated to me, so I decided to make an entirely new set. I'm particularly proud of them, because unlike past jewelry stones I've made, I made them without any sort of leaning on Zbrush matcaps. With my other stones, I would basically bake the texture of a Zbrush material and modify it, while in this case I started with a red circle, and after a lot of playing with gradients and blending layers, ended up with a gem. My friend doodles celtic knots, and he came up with one that I particularly liked. I thought that with a few adaptations it'd make a really lovely pendant. Nevina is gaelic for "worshipper of the saints", which I found fitting for a Celtic cross necklace. It's unrigged for easy modification, and the pendant is a separate object so you can adjust the angle or size for a perfect fit. On one hand, it seems like something from the middle ages, on the other, it's modern enough to be timeless. This celestial seating comes with multiple animated avatar poses for both men and women, as well as couples poses if you want to get cozy with someone. Come try it out at our main store location! Now that Fantasy Faire is open, you might have spotted a couple of new masks there! 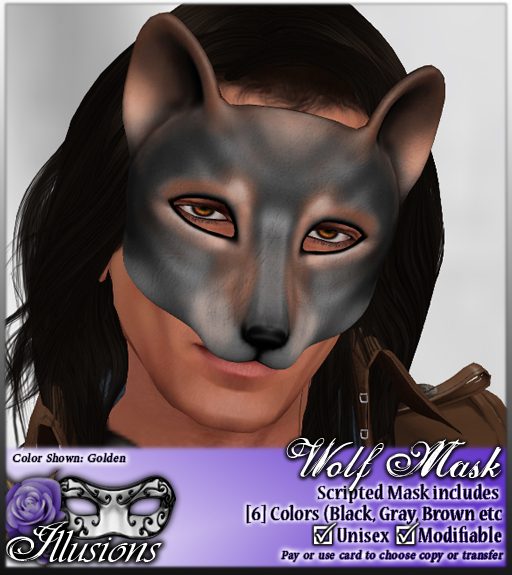 As part of my commission spree, Dream Resistance hired me to do a set of three animal masks: a sparrow, a wolf, and a lioness. The sparrow is one of my RFL items this year, but the wolf and lioness, but the wolf and lioness are here to stay. She described the masks as made of leather, for a Game of Thrones roleplay. She wanted them primitively made half masks (rather than the full heads I'm so fond of doing). I found making them too primitive difficult because I just love details, but I think I nailed the rough leather look. I've been playing with methods of layer blending and found a wonderful balance between color, shading, and roughness I think. 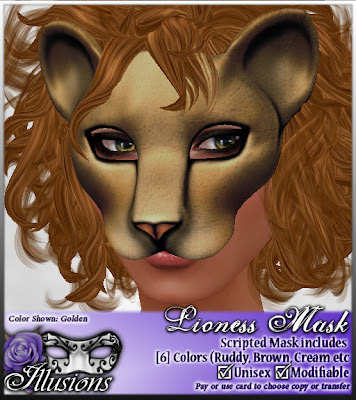 The Lioness mask comes in six colors: black (melanism!) , white (albinism! ), ruddy, cream, brown, and golden, which is the one shown. “Pin Me Down” also takes part at the Fantasy Fair 2013. I’m wearing the makeup “Myst” (piccie #2) and the two “Warrior” makeup’s (piccie #1) … right, two makeups at no. 1, ’cause i added both versions and got these awesome makeup, ready to fight ! Bilo Rani are creations that fall under the Bilo brand of eclectic and ethnically inspired designs, yet focused significantly on fantastic and cultural expressions. 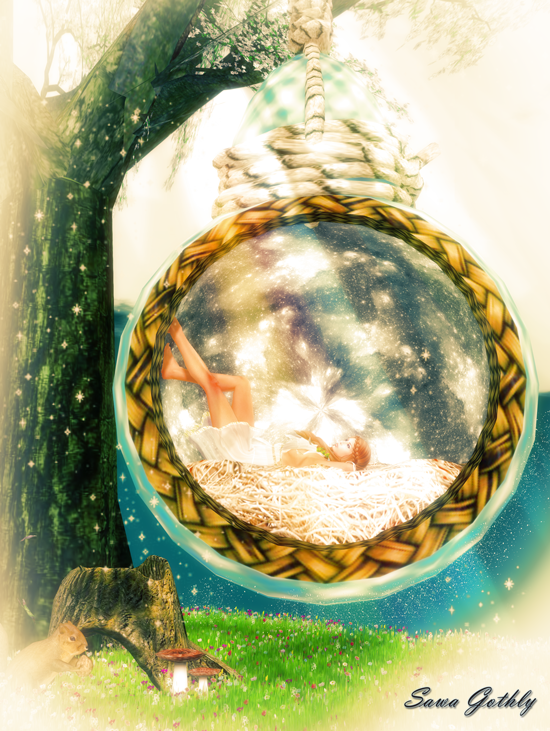 Fantasy Fair 2013 open it’s doors – NOW :o) “MacMoragh & Muse” has delivered an absolutely sweet little nest, it comes with 5 poses which are adjustable (comes with tree, without squirrel). It’s really very cute and will fit into any fantasy-sim or could be simply a dream station for your home. 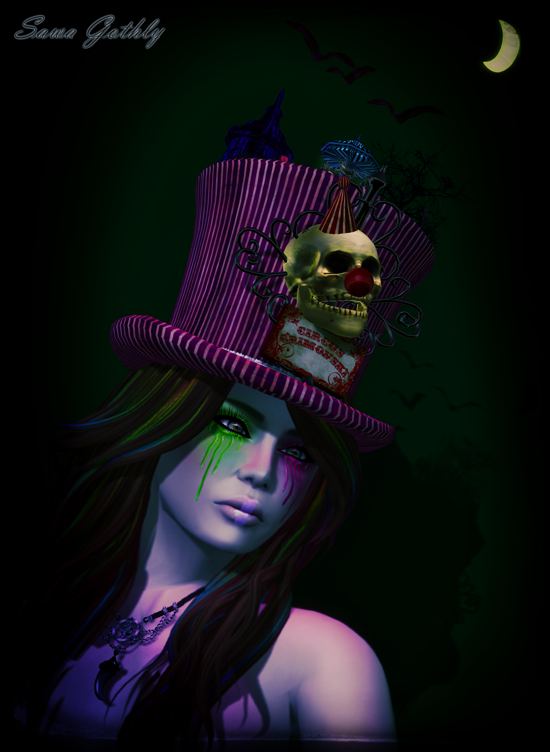 “MacMoragh & Muse” is located at the “Magnificat” sim @ Fantasy Fair 2013. 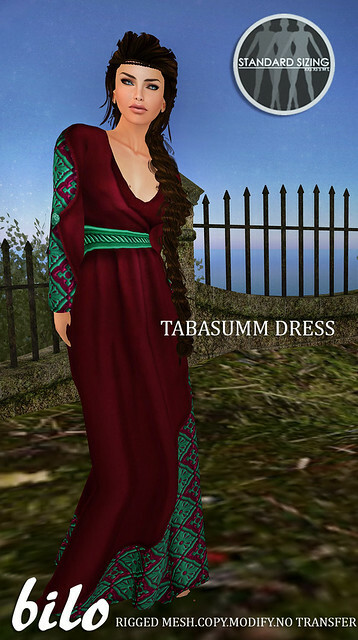 I’m also wearing an outfit by Caverna Obscura, hair from Wasabi Pills and my makeup is by Musa. Everything is available at the Fantasy Fair. Take time to roam about the fantastic sims, they are definitely worth a visit.